First and foremost, this is currently not an Amaterasu announcement. I'm not even Ixrec, for that matter. Of course, the logical next question would be "What is this even doing here, then?". The answer to that is because it might, at some point in the future, become one. With that out of the way, let me introduce myself. 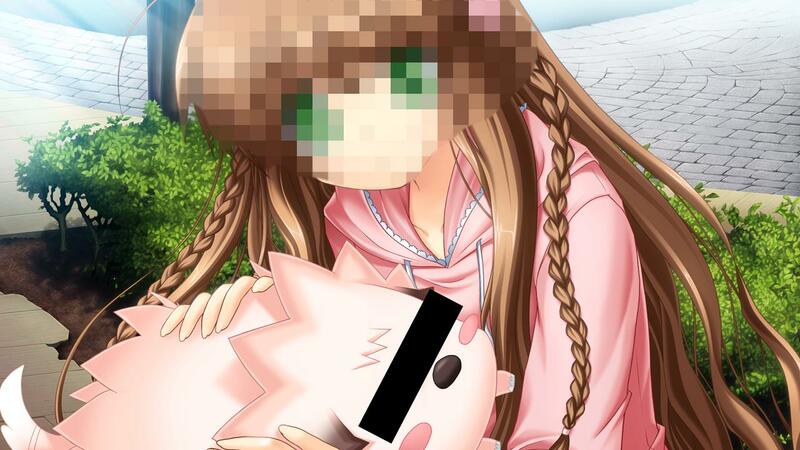 I'm Futsuu, currently translating some obscure VN with Amaterasu's help. While said obscure VN remains my highest priority, I do have other games I'm interested in translating after I'm done with it, Parfait being one of them. Now that doesn't mean I was planning to make an announcement this early. But a certain other translator expressed some interest in picking it up as a backup in case he couldn't get his hands on tools for his primary translation candidate. Upon speaking with him however, it was discovered that he was fine with not working on it as long as he was given sufficient reassurances that Parfait would be done - this announcement, basically. So yeah, I will be translating Parfait after I'm done with my current project, and in the unlikely event that I don't manage to complete it, Ixrec will because he's interested in working on the game as well. tl;dr - Futsuu will do Parfait next, and if he doesn't complete it because he gets run over by a bus, Ixrec will pick it up. Either way, Parfait will get translated. The subtitle conveniently explains the premise for me. 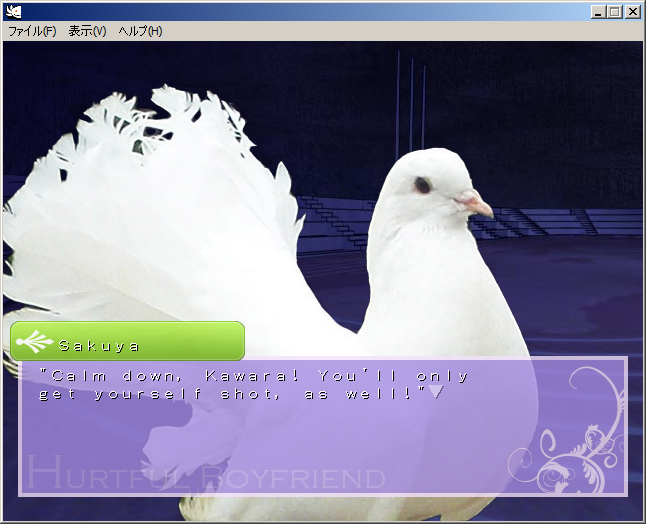 This is very much a moege, in that most of the time is spent hanging out with your chosen heroine. 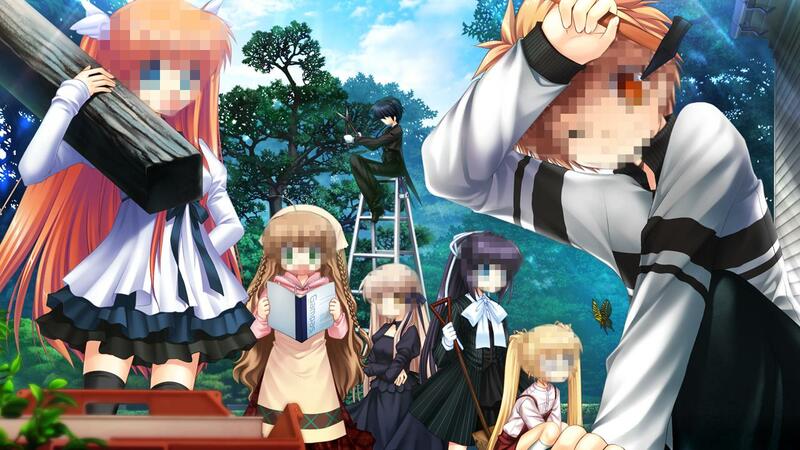 Sadly, the characters are not exceptionally moe, so what you end up with is a lot of mildly amusing slice-of-life punctuated with the occasional bit of something vaguely resembling a plot. The slice-of-life isn't bad, since there's no glut of unnecessary text and none of the scenes/gags ever get recycled, but it's also painfully ordinary (even when they're doing their daily idol work). 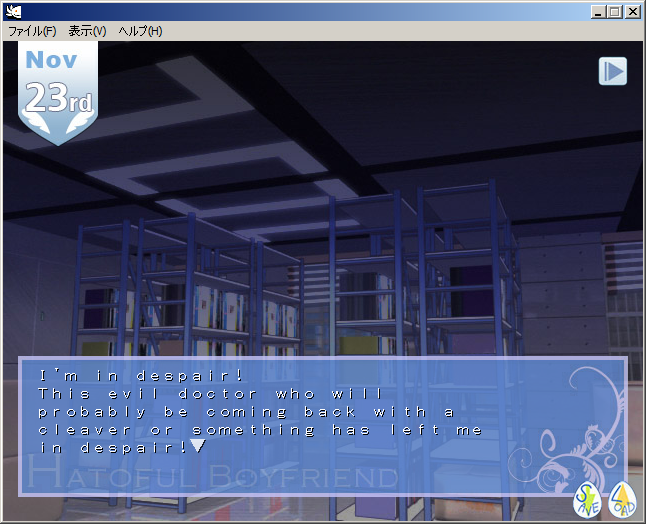 Each of the routes has a plot of some kind, but unfortunately they never establish very much tension or immersion. To generalize all the little problems: almost every single event feels completely arbitrary or enforced by plot, rather than something that would naturally happen (a rare but notable exception is the clever twist about ChuChu's mom). This feeling is nigh omnipresent because so much of what does happen is predictable or cliche. Also, because of magic, certain characters can do basically whatever the writers feel like. On the other hand, there are no gaping plot holes or character breaks or unresolved conflicts, so it wouldn't be fair to call the story "bad". It's just mediocre. Maybe you'll find the heroines more moe than I did, or maybe all the lazy writing will infuriate you. 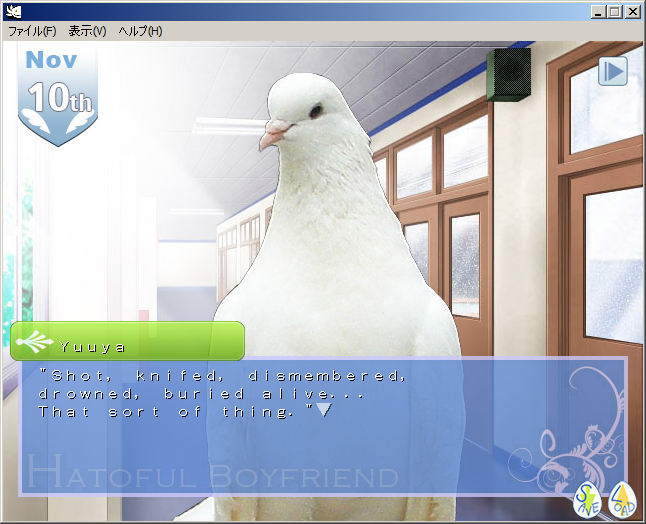 This is one of those VNs where everything starts out as slice of life with only the occasional bit of plot foreshadowing. The setting is a Shinto shrine in the Taisho era (a welcome change of pace), the atmosphere is nice and relaxing (the calming tracks of the OST are quite good), and the pacing is just fast enough that it's never in any risk of crossing the line from relaxing to boring. As you soon learn, the family living at that shrine has a rather complicated and unfortunate history, and thankfully there is genuine, believable character development in each route, so there's enough going on to keep things interesting up until the end. 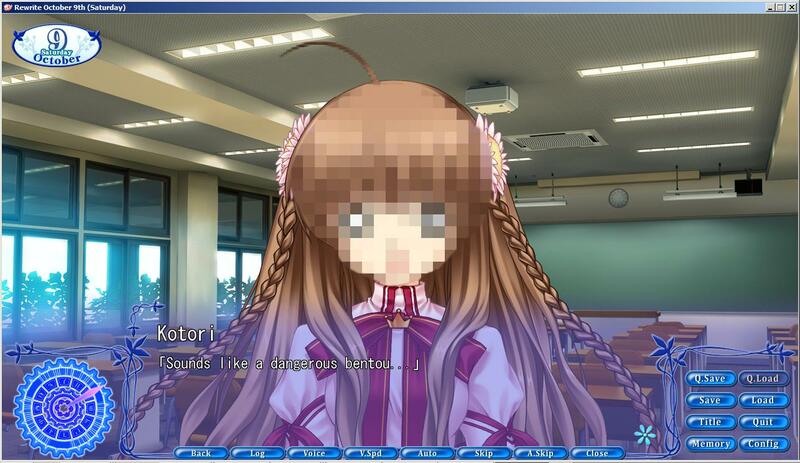 Some of the comedy is more cliche than actually funny, but that doesn't harm the rest of the VN in any meaningful way. The only big problem I had was that when you get to the point in a route where the more serious plot kicks in, you're already almost at the ending. 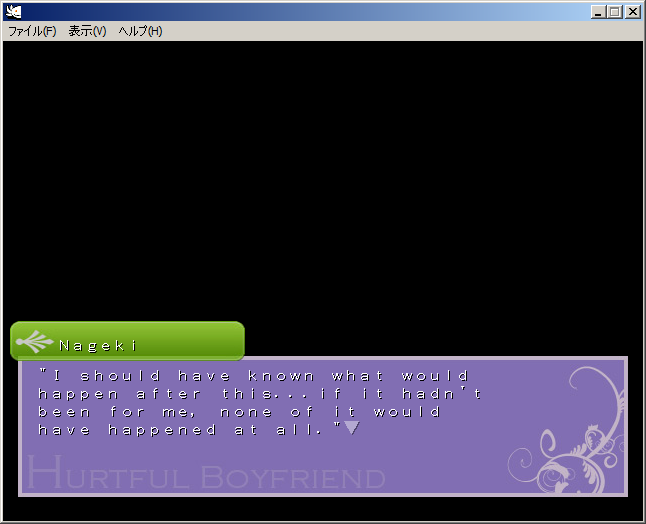 The non-slice of life parts of the routes simply don't last long enough to really draw you in before the credits roll. On the other hand, all the endings are meaningfully different and even unpredictable despite drawing from the same backstory and resolving the same conflicts. The slightly odd result is that the most interesting aspect of the plot is comparing and contrasting all the different endings you can find, and there are quite a few. It also helps that the plot itself is perfectly coherent and everyone's actions make perfect sense, so there really isn't anything wrong with these parts other than brevity. I also like how it seems to retain its sense of mystery even after you know what's going on. 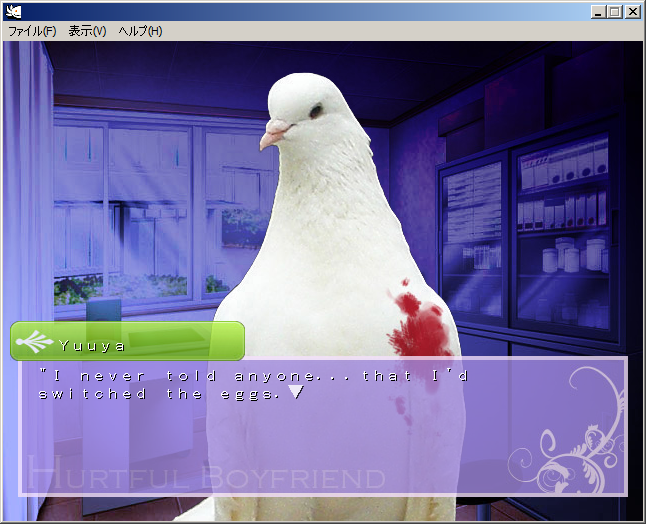 So in the end nothing about Tsukikagerou amazed me, but despite that it always made me want to see what happened differently in the next route or ending. Not a lot to say here. The only specific thing worth mentioning is that Futaba's route is kinda half-assed and retcon-y, so be warned if little side routes like that matter to you (personally I didn't care). Routes/Endings Played: All 12 endings across all 5 routes. Because I could not locate the full version of this VN in Japanese, I read the free version in Japanese then obtained the full version in English to read the additional routes and endings. As a result, all the screenshots I use here have English text. 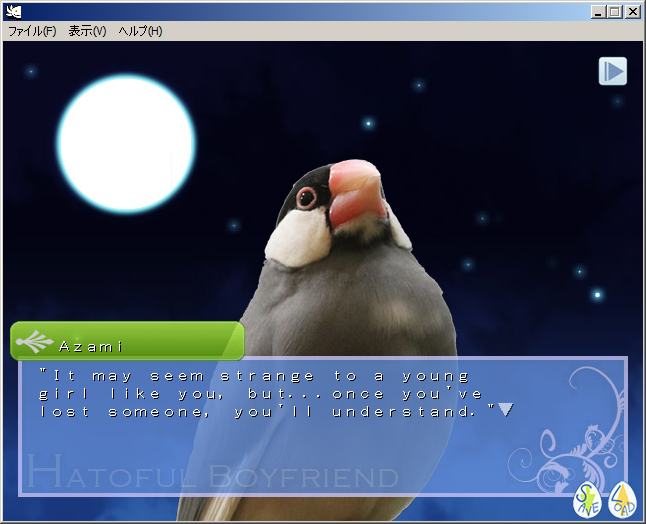 As you may or may not be aware, this is a pigeon otome dating sim. 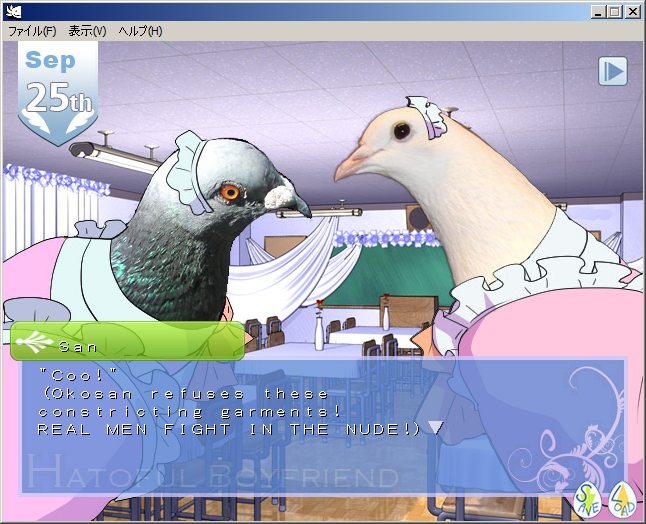 In other words, you are a human girl attending St. PigeoNation's Academy and you must make friends with the male pigeons there (and for some reason you have stats). At first glance it's an ordinary school life comedy with the gimmick that almost every character is inexplicably a pigeon (or some other kind of bird). However, in addition to the extremely goofy parts you'd expect, there's also a surprising amount of serious plot ranging from depressing to bizarre to grimdark (and occasionally it's both silly and serious at the same time). The result is that even after the gimmick's initial appeal wears off, it's still impossible to read this VN with a straight face, which is a good thing. 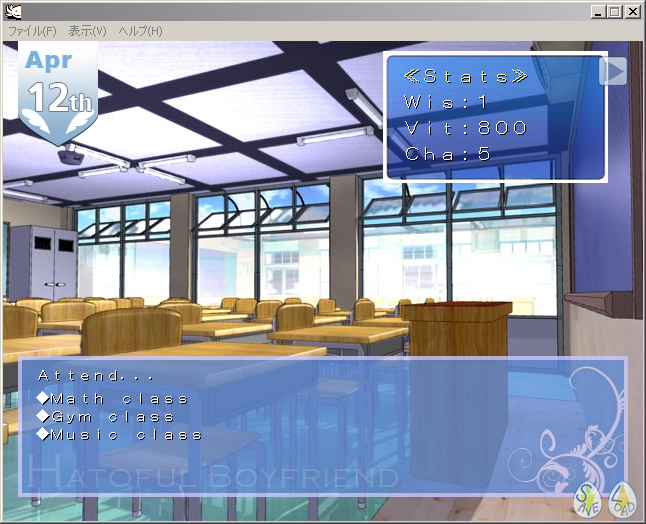 The problem is that most of the routes have such ridiculously fast pacing (many scenes were less than twenty lines long!) that they simply don't get the chance to have much of an impact. At its worst it feels like just a string of arbitrary choices with bits of text in between. 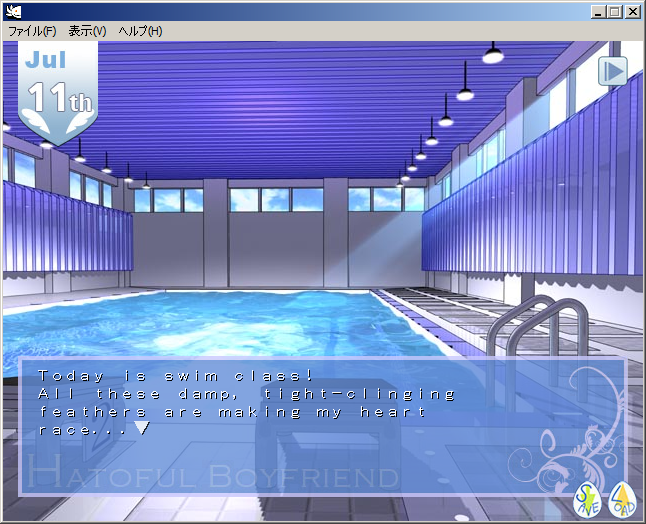 Some routes also have annoying non-endings, and there's often no basis or justification whatsoever for the protagonist's romantic feelings, so these parts of the VN end up feeling more unfinished than anything else. These routes are about a 6 overall. Fortunately, the murder mystery route (for lack of a better name) has none of these flaws. It also has a ridiculous number of soap opera and b-movie cliches tied together in a surprisingly coherent, multi-layered and well-paced (if utterly absurd) story. And it takes itself one hundred percent seriously the entire time. This is, of course, absolutely hilarious. Easily a 7.5. For some the entire thing will feel gimmicky (in a bad way) from start to finish. For others the sheer silliness of the experience will render all complaints about "pacing" and such utterly moot. Routes/Endings Played: All 13 endings. P.S. : In case anyone wants an opinion on the translation quality: it could definitely use some editing/QCing but it's perfectly servicable. 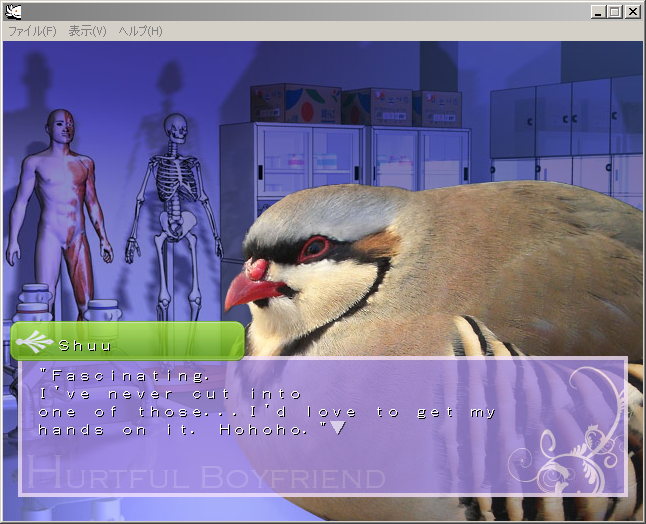 You can purchase the complete version of Hatoful Boyfriend translated in English from DLsite for only 420 yen (about 5 USD). 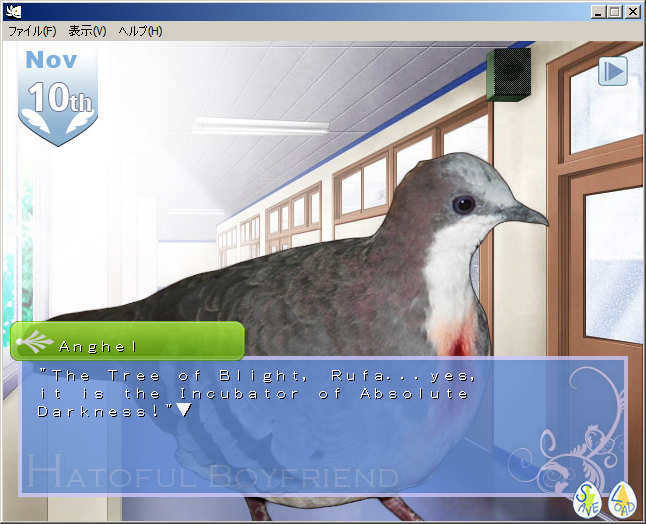 You can also download the free version along with a free translation patch. Links for both options can be found on this site. Please leave a comment if you choose to buy it.